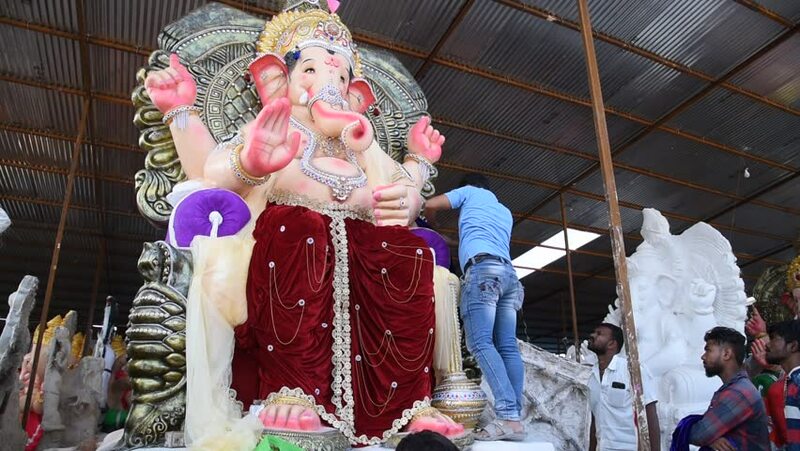 hd00:09AMRAVATI, MAHARASHTRA - SEPTEMBER 12, 2018: Artist gives finishing touches on an idol of the Hindu god Lord Ganesha at an artist's workshop for Ganesha festival. hd00:15AMRAVATI, MAHARASHTRA - OCTOBER 10, 2018: Artist making sculptures and gives finishing touches on an idol of the Hindu goddess Durga. The idols are made for the Hindu festival of Dussehra & Navratri. hd00:08LIVERPOOL, MERSEYSIDE/ENGLAND - DECEMBER 08: Woolen hats and scarves for sale at the Christmas Market on December 08, 2013 in Liverpool. The market is held each year in the main street of the city.